Reading: Growing up I used to love reading mystery books. My Mom was a huge fan of mystery books, and she really influenced me to check out the genre. I went to the library last week, and came across so many authors that I grew up reading. I've always been a very advanced reader, my Mom and I would often share books because I was already for those books. That being said I picked up Killer Riff: A Molly Forrester Novel by Sheryl J. Anderson. I love Sheryl's writing style and I just love all of her books. Watching: I'm loving Ben and Lauren's show on Freeform! Thinking About: How excited I am that my first article got posted on Odyssey! I was so nervous to post it. God has put so much on my heart, and He wants me to share it with other people my age. You can read it here. Loving: Cappuccino. Because it's freezing here in the Midwest. 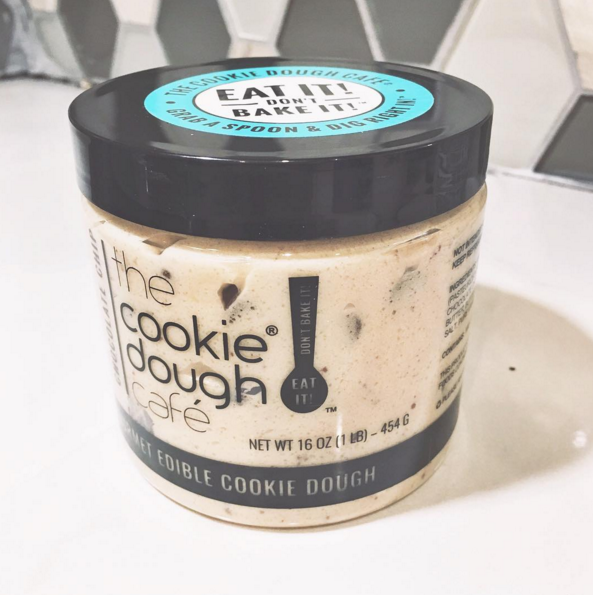 Also loving edible cookie dough. It's kind of addicting though.